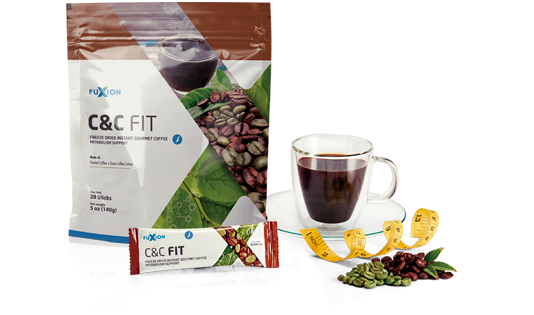 DRINK COFFEE AND STAY FIT WITH FUXION C&C FIT. 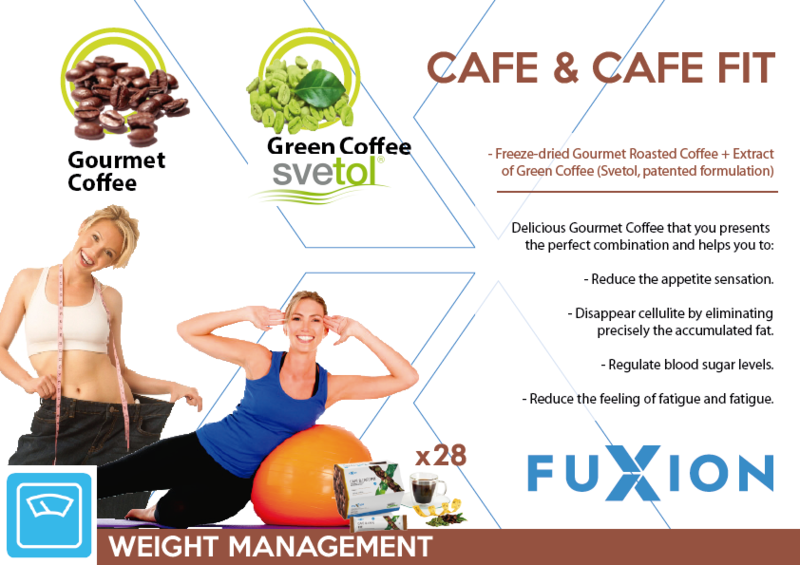 FuXion C&C FIT is an irresistible roasted gourmet coffee with green coffee extract, rich in chlorogenic acids that help you to control your appetite and reduce your waistline. Its antioxidant components will also help you to reduce your appetite, boost the elimination of cellulite, specifically eliminating accumulated fat. Delicious gourmet coffee that presents the perfect combination of roasted coffee beans and green coffee, which will help your body to calm the appetite between meals. The Green Coffee used in this delicious drink is a patented formulation (Svetol) rich in chlorogenic acids, with proven studies in the control of appetite and reduction of measurements.